Sumptuous, double, candyfloss-pink, early spring flowers with creamy-yellow centres, followed by silvery, seedheads retained throughout the summer. 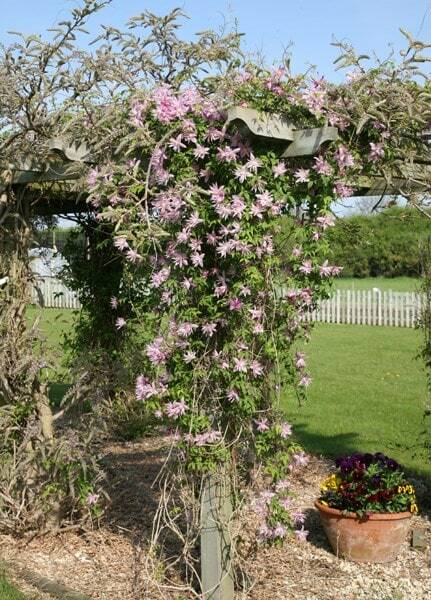 This clematis looks lovely scrambling through a strong tree or shrub. 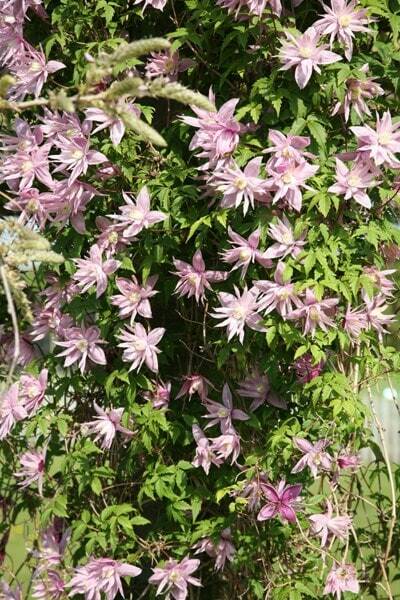 Ideal for a north-facing site, it's also known as the downy clematis since the new shoots are covered with down. Flowering well, not all buds developed, some clematis wilt. My clematis Markham's Pink was planted last April, against a fence in semi shade, facing southwest. It gets late afternoon sun in winter, more in summer. It grew fairly well last year, but now looks dead. Is this normal? We are in South Wales, quite near the sea, but it is fairly well protected from the wind by the fence. Hello there Yes this is quite normal, it won't look good at this time of year. This is a deciduous clematis that will have dropped its leaves in the autumn, and any remaining leaves on the stems will be dead. This plant is now dormant, and will stay like this through the winter months until the spring when new shoots will appear. Atragene is the ancient Greek name for clematis, meaning firecracker. Apparently the dry branches of clematis explode noisily when put on a fire. I really want to try this at home.